When we look at bib overalls the first thing that comes to mind is hard work. However, they can also be worn as fashion. 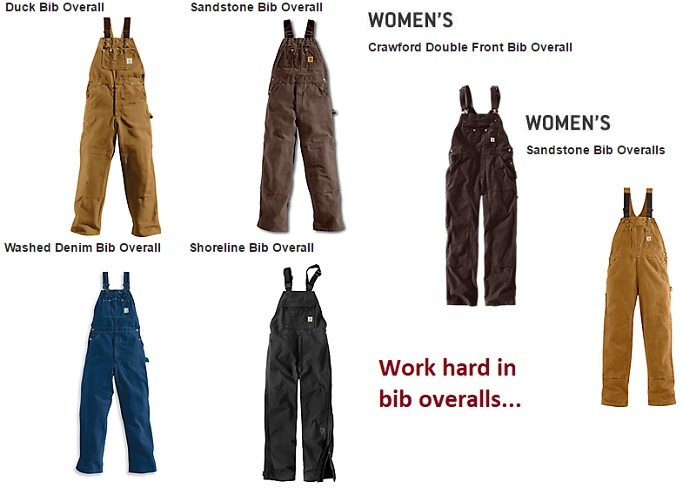 If you are looking for a hard working trend, you may want to stop by the Carhartt website to check out their men's and women's bib overall selection. The season's best bibs. Built light, sturdy, and ready for fall and winter. Shop for lined or unlined bibs. Shop for carhartt overalls. Working hard is always trendy. You may also be interested in wearing hoodies or sweatshirts under those overall pants.